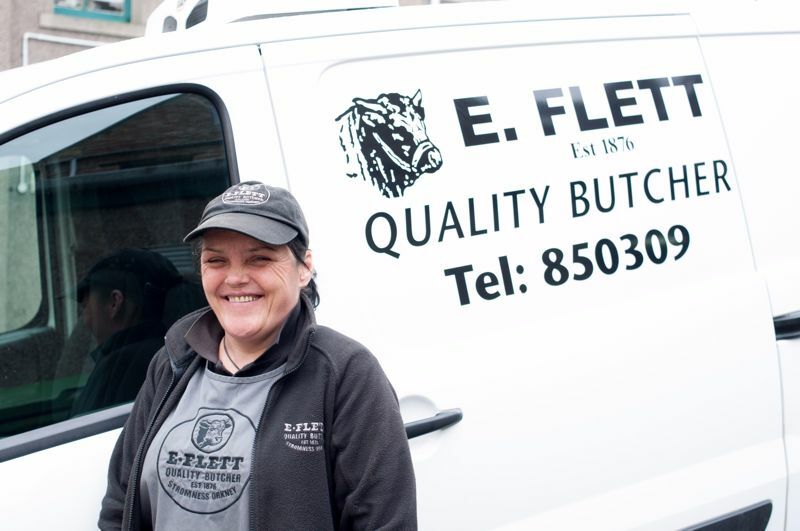 E Flett Butcher offers a quality service with free delivery around Stromness. Based in the picturesque harbour town of Stromness in the Orkney Islands and established in 1876 by Adam Flett, we are traditional butchers with five generations of skill now continued by John and Janette Park. We are proud to continue the tradition of quality and personal service. Free deliveries round Stromness has evolved from the push bike to a refrigerated van. Just phone in your order. If you would like an order posted away please give us a phone to discuss your requirements and the postage. Our experienced team of staff are happy to give advice on the right cut of meat for a special occasion or recipe and how to cook it. We enjoy discussing food, and helping you to achieve what you are aiming for, good food is our passion! 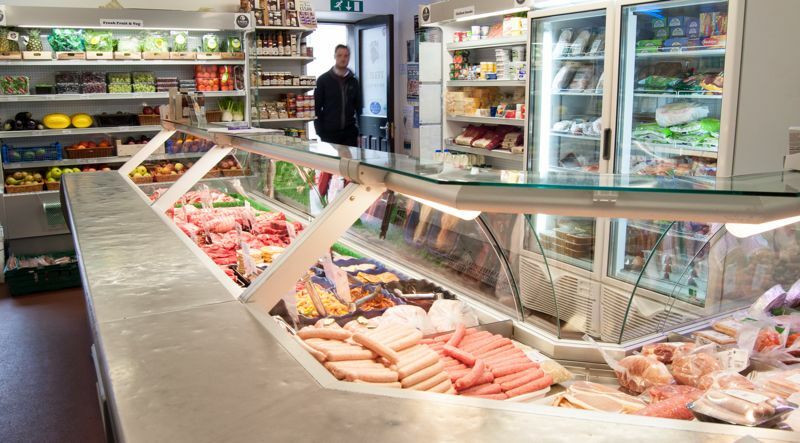 If you can’t get through to Stromness to see our full range check out the refrigeration counter at a shop near you as we supply many independent retailers throughout Orkney. We also supply many local hotels and restaurants. Best Supplier in 2008, 2009 and 2010 at the Orkney Food & Drink Awards and Best Meat-Based Product in 2014. Fletts is one of a consortium of local butchers who set up Orkney Meat Processors Ltd to run the local abattoir in Kirkwall when it was under threat of closure and to safeguard the name ‘Orkney Meat’ which is recognized world over of being a high quality product. 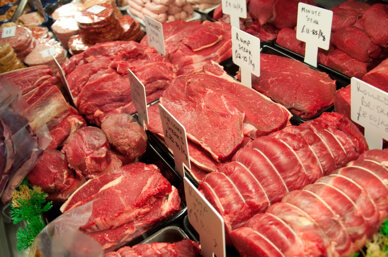 The quality of Orkney Meat from farm to shop is important to maintain. We know the farmers from which we source our renowned Orkney beef and other quality meats. They apply high standards of animal husbandry to produce the finest animals, from which we select the best at the local mart. They do so sustainably, preserving our beautiful environment for generations to come. E Flett Butcher Ltd prides itself in selling local meat produced on Orkney Farms, we know where all our meat comes from. You will find the names of the current suppliers on a notice board at the end of the veg stand. We support local producers and suppliers wherever we can and stock products from Westray Chutney, Russell’s and Grimbister Cheese to name a few. We also make vegetarian burgers and haggis. Please visit ‘Our Products’ page for a full list of products on offer including our vegetarian and gluten free range. WHY SHOPPING AT FLETTS IS GOOD FOR THE ENVIRONMENT. Never buy more that you need, you can choose the quantity of fresh fruit or veg from the fruit and veg stands. Orkney meat direct from the local mart, to the local abattoir. Minimal travelling distance means less stress for the animals and lower food miles. Locally sourced produce first whenever possible.